The relaxation part of the trip is now over and it’s back to touring. I started the day going down to the hotel restaurant for the buffet breakfast expecting to use my last $25 USD voucher but they never asked for money or even my room number. It looks like I could have gotten free breakfasts every morning! The taxi driver dropped my off at the wrong terminal at the airport. As there were no numbers outside on the building I couldn’t be sure. It took 20 minutes to get a shuttle to the actual terminal I needed. The airline put me in an exit row seat by myself which is always good. For the two hour flight I was given a coke and some peanuts. The airport pick up went off without a hitch and a forty minute drive later I was at the Hotel Metropol my new home for the next 2 nights. The welcome letter from our tour leader listed 15 travellers which is the maximum, there are 10 females and 5 males. Tour members are; Pui Yee Cynthia Hui, Xing Lu Yao, Aaron Cook, Laura Hadley, James Sahagian, Patricia Zoller, Chiao Yun Chen, Stephen Lancaster, Yomi Middelweerd, Samuel McKeon, Lauren Warner, Robin Burton, Naomi Pegel and myself. Our tour leader is Siddhartha Trejo who seems like a great guy. 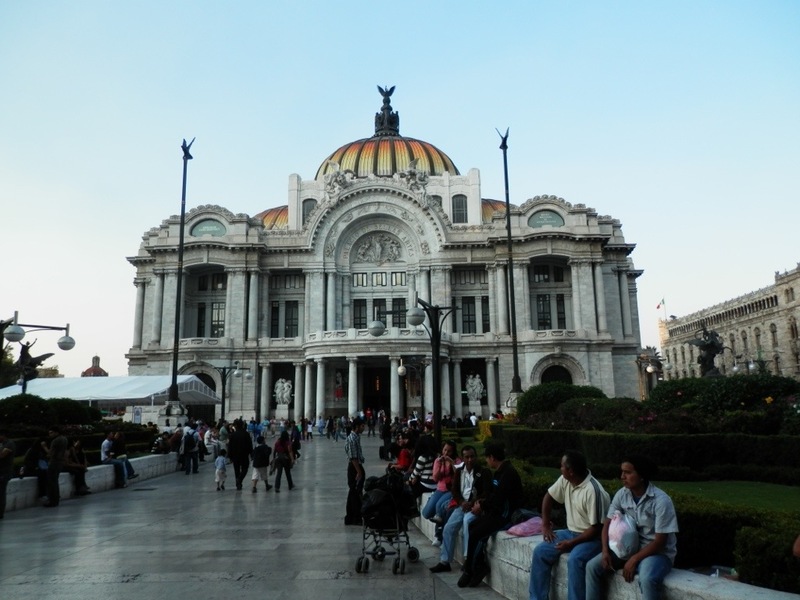 Our briefing outlined the next 15 days on this Mexico Ancient Civilisations tour. Four of us are going to continue all the way to Panama. We all had dinner together at a diner around the corner and here we organised to visit Teotihuacan ruins and the Basilica of Guadalupe as a private tour. This trip is very basic level of inclusions so people can select optional activities as we go so it will be interesting to see how many we actually do together as a group.